Thanks Lorna for a visit to MES! Music for Everyone School, Luang Prabang. 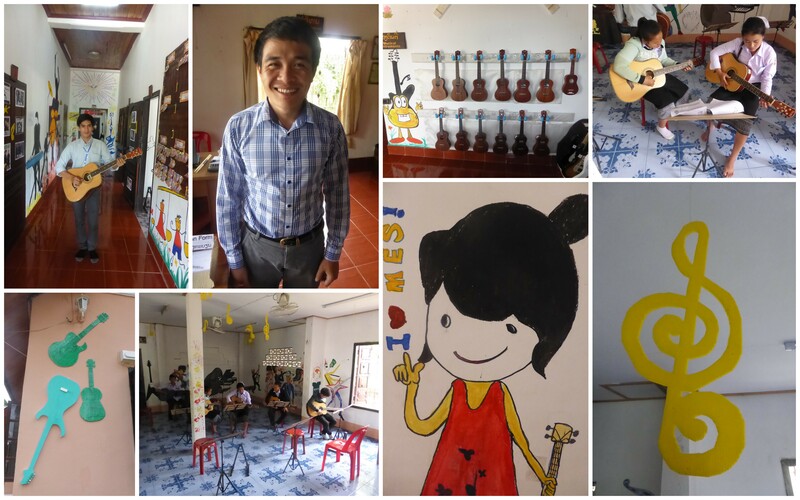 I have to give a special shout out to this wonderful NGO school in Luang Prabang – Music for Everyone School (MES). More volunteers are needed here to help provide tuition to very keen guitar and ukelele learners. This is a great opportunity to volunteer in a more original way than the usual English teaching or conversation practise. If you’ve got musical skills to offer, or even if you just want to pop along and offer your support or make a donation, Max the owner will warmly welcome you into his school and show you around.